Welcome to the site of Guildfords Premier Tree Surgeons. Professional tree surgeons since 1979. 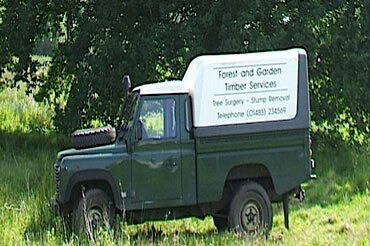 A well established and fully insured business specialising in difficult or dangerous trees. Providing a valuable service to local authorities, property developers and The Environment Agency throughout the South East. We are also more than happy to deal, one to one with private clients. Clients include: Surrey County Council, The Environment Agency, Surrey Heath Borough Council, Guildford Borough Council,Waverley Borough Council, Woking Borough Council, Thames Water, The Royal Borough of Windsor and Maidenhead, Woking Borough Council, Portsmouth City Council, The London Borough of Sutton, The National Trust, Runnymede Borough Council, and H M Prison Service,Surrey Wildlife Trust. Our team is based in Guildford, Surrey and frequently travel all over the southeast. For our private clients we cater for specialist tree surgery needs, and also routine hedge cutting, pruning, shaping and stump grinding. Seasoned hardwood logs, firewood and woodchip always available by the lorry load, vanload or individually counted. Delivered or to collect, any amount to suit your needs. Sectional felling of dangerous trees. Tree works in and around water. We have all the specialist tools and the experience to back it up; ensuring the work you require is completed efficiently and professionally.